Here is one to put in the regular rotation. Super high in fiber and omega 3 and 6. It is grain free, sugar free, dairy free and obviously gluten free. I made this last week. I can take no credit for it but I wanted to post it with the changes that I made so that I could repeat it – often! This one comes from Elana’s Pantry. Here is the original recipe. Here is what I did. Preheat oven to 350. Spray a glass pie plate. Pour in batter and bake for 20 minutes or until a toothpick comes out clean. Let cool slightly and cut into wedges. Great as a side for dinner. I was craving something sweet again today. Like I said before I don’t have much of a sweet tooth so I figure I am only craving this because I am trying not to eat sugar. I went to one of my favorite food bloggers; Elana’s Pantry. 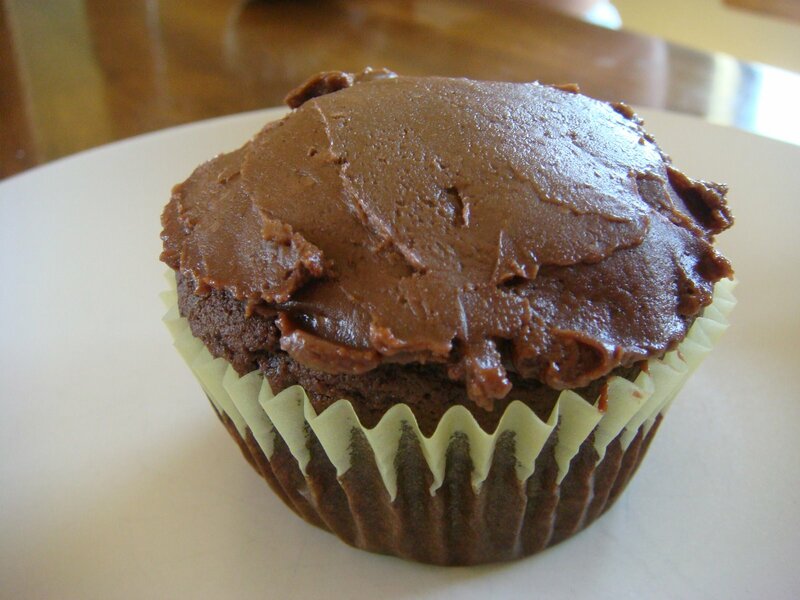 Sure enough she has a recipe for chocolate cupcakes using coconut flour and agave nectar. Perfect! Here is what I did as I made a few changes based on what I had in the house. I used some Truvia in place of some agave to help lower the carb count. These were AWESOME. I know what I will be having for birthday parties now!!!! Please check out the original recipe and Elana’s site. She has some wonderful recipes that are lower carb, dairy and gluten free and organic. As always I do this blog to keep track of what I do in the kitchen so I can repeat recipes we like. I am not trying to take credit for someone else’s recipes. Not so eloquently I dumped it all in a bowl and whisked until smooth. I lined and filled 6 muffin tins. Baked at 375 for 13 minutes. They look identical to any other wheat filled chocolate cupcake and tasted just as good. 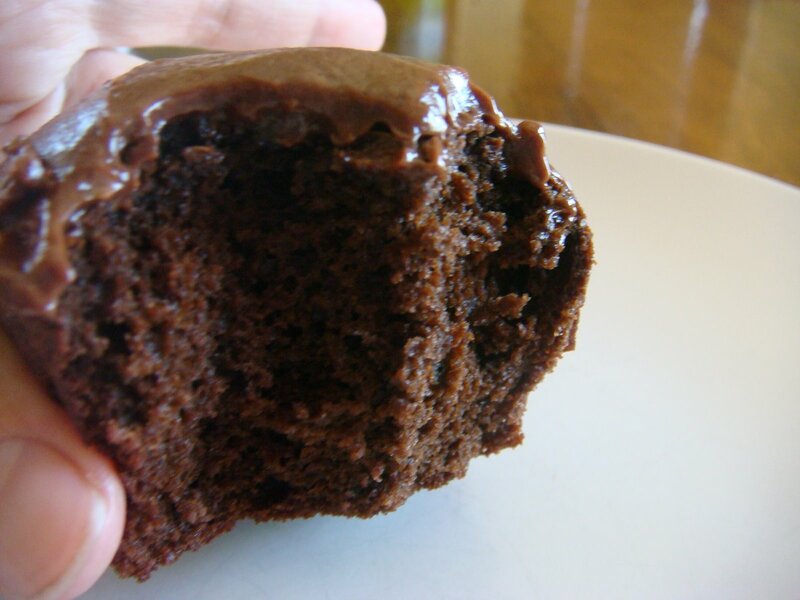 Elana has a recipe for a vegan chocolate frosting. I used that idea but used butter, honey and cocoa powder. It was better than frosting with icing sugar. I didn’t measure anything precisely but I guesstimate that I used 5 TBSP softened butter, 1 T cocoa powder and 2 T honey and whipped it all together. I put it in the freezer for a few minutes to help it harden a bit before frosting the cupcakes. Seriously, these are fantastic! Like I said, I am loving coconut flour. Here is another winner. Grain free, gluten, dairy and sugar free. Probably relatively low carb although I haven’t calculated it out. I have already made these 3 times in the last week. They go fast. Again, they get the kid stamp of approval. 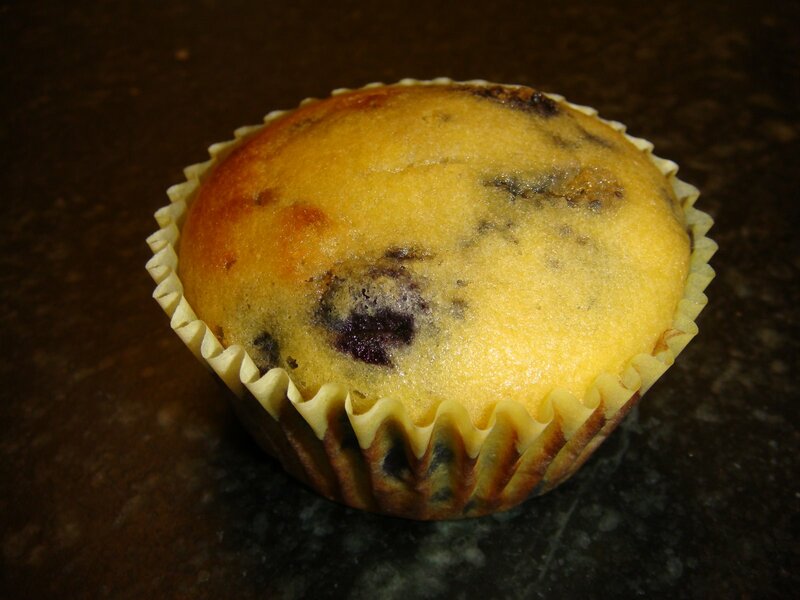 Preheat oven to 400 degrees and line muffin tin with paper or oil. Whisk together eggs, oil, and honey. Add salt, vanilla, nutmeg, coconut flour and baking powder. Whisk until smooth. Gently fold in blueberries. Try not to mix too much or your batter will be blue. Spoon into 6 muffin tins and bake for 15 minutes. I think the most common complaint about being on a GF diet is the loss of wheat bread. If you have ever bought a loaf of gf bread you know what I am talking about. It is hideous. It has a funky texture, you can not eat it if it isn’t toasted, it falls apart, it has to be kept in the freezer and for all that you pay a fortune. On top of all that, it is nutritionally void. it is usually made of white rice flour and tapioca flour. Metabolically speaking, those are nothing but sugar. And fiber…ugh, none. Wouldn’t it be nice to have yummy bread again? Well, here it is. I have been asked several times to post this recipe. It has taken this long because I was going to save it and then figure out a way to market it and then make my millions. 😉 Yes, it’s that good, in our opinion. But since I will probably never get to that here it is. The directions look like this is really involved. It isn’t. I have just added all the little options and possibilities. I have posted a revised simplified version of this same recipe. There are fewer ingredients and the result is the same. If you want to combine several flours for a varied nutritional profile then use this recipe. If you want speed use the simplified one. This makes about a 1.5 lb loaf and I always used to make this bread on the regular bread setting and it turned out fine. I now use my own program just so that I can speed up the process. It takes about 1 hour less my way. One other thing I do is remove the paddle after the mixing is done. I just don’t like having the hole left in the middle from it. I just wet my hand, reach in and grab it, then smooth the top down, filling in the hole. Just make sure you grab it before any rising has started. This recipe is really forgiving. I routinely mix and match the flours. I usually make this without any rice flour as I am not convinced that rice is terribly healthy. 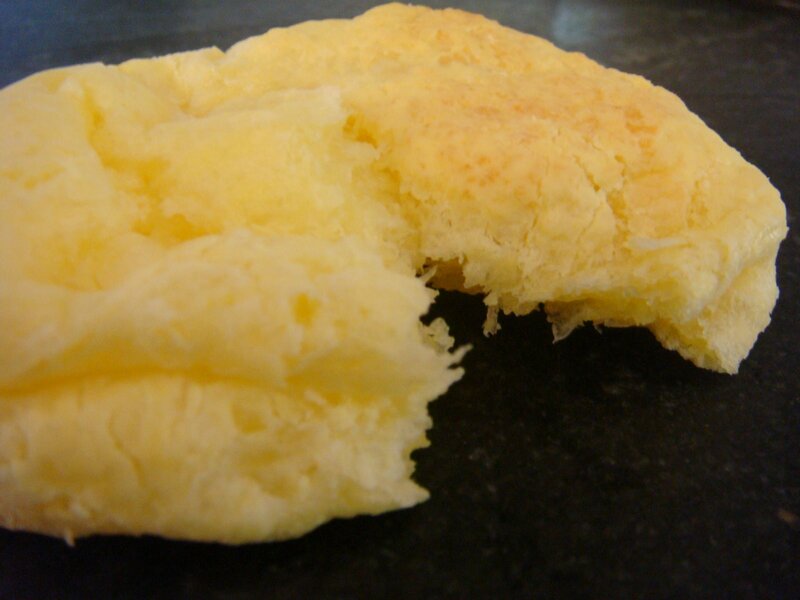 Besides, if you use much rice flour then you get the typical texture of gf rice bread which I don’t like. Depending on which flours I use it will alter the look and texture as well as taste. We like them all. Often the bread rises really well but by the time it is finished baking and cooling it will fall a bit in the middle which will create an uneven top. We couldn’t care less how it looks because it tastes GREAT. My mom eats gluten and she loves this bread. So much so that the last time she came to visit I baked her a loaf to take home. I have been making this for nearly 2 years and although it looks pretty involved it goes pretty quickly. Recently I bought a loaf of gf bread because I wanted to make turkey stuffing and that was just more convenient. It was approximately $6 per loaf! And it tasted like styrofoam to me. I could not eat it. Not even toasted. And this was the only bread that I used to be able to choke down, best of the best so to speak. My bread can actually be eaten as bread instead of toast. (I could never eat the store bought stuff unless it was toasted.) As with all gf baking, it is best on the first day but it is still good after several days. You could slice and freeze to use as needed but we usually eat it all in 2-3 days. *xanthan gum: if this is your first time baking gluten free bread, you might not be familiar with this ingredient. This is needed for most gf baking. It is what replaces the gluten in wheat bread. It’s what holds everything together. When you buy this be warned it is kind of pricey but it is essential and it will last a long long time. **gf flours are expensive. We have found a way around this to some extent. We will buy 25 pound bags of several whole grains and then grind our own flour. We decided to go this route since CD is a lifelong diet change, the grinder etc will pay for itself over the years. We either get the grains directly from the mills online or we get it from our usual health food store. Given a little notice the local store can order it for us and then we get a discounted price from them. It is also safer to do it this way as there is no possibility of cross contamination from those bins and scoops. We use this online company. On their site they also have some great information on nutritional values of the grains they sell. We also bought our grain mill here. They have several different ones available. Another option for buying gf grains is to go to an asian supermarket. The one we have here is incredible. They have every possible flour. They are also much much cheaper than getting those 1 1/4 lb bags of flour from your grocery store. The only problem is that they are not labelled gf. So if that is important to you then you could try online retailers as well as a health food store or grocery store but you will pay a little (or a lot) more for that certification. Edited July 20/09: I have had several people contact me asking how to make this bread without a bread maker. Honestly I hadn’t tried, until today. I was really winging it with the mixing times, rise times, baking temp and baking time but it turned out perfectly. Like picture perfect. So here is what I did today. I put the first 6 ingredients in the bowl of my kitchen aid. I mixed on low speed for a few seconds just until it was all mixed. Then I added everything else with the exception of the flax seeds, sesame seeds, sunflower seeds and yeast. I mixed that for 2 minutes on medium speed. I added the remaining ingredients and mixed for another 2 minutes while occasionally scraped down the sides. I sprayed a glass bread pan and let it rise in my oven with the oven off but the oven light on. (Although here in Arizona simply leaving it on the counter is sufficient. )I let it rise for 40 minutes. I took it out of the oven and preheated the oven while it continued to rise. I baked it for 35 minutes at 350 degrees. Here is what it looked like. I wish you could taste this!!! So, yes it can be done and yes it turns out perfectly. A couple other things I did with this loaf (yes, I am forever playing with this recipe) I omitted the apple cider vinegar, I used whole goats milk, subbed potato starch for the corn starch and used just teff and sorghum flours as the base.